All the same, the husband must also take into account the condition of his wife, who may be sick, pregnant or have trouble, all this to reach an agreement (with her, mutual agreement) without difficulty. The Shiites believe that after the death of Prophet Muhammad (pbuh) and this till the end of the world, Allah has nominated twelve Imams. 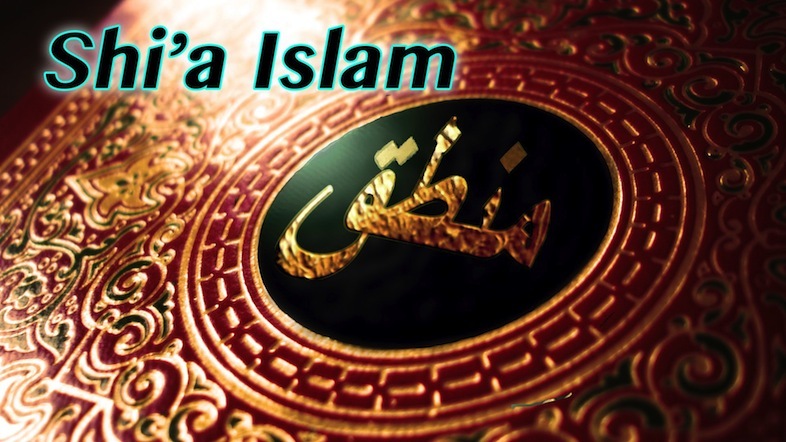 According to them, those twelve Imams had been nominated by Allah through Prophet Muhammad (pbuh). The first Imam according to them is Ali (ra), the second one, his son, Imam Hassan, the third one Imam Hussein and the rest of the nine Imams being found in their bloodline. From the first Imam (i.e. Ali) till the eleventh Imam (Hassan Askari), all died a natural death like the rest of mankind. As for the twelfth Imam, the son of Hassan Askari, he mysteriously disappeared in this youth and went into hiding in a cave. Now till the end of the world, according to the Shiites, he alone has the exclusive right to reign upon the world. The belief in Imamat is obligatory (Farz) for a Shiite and the one who does not believe in it shall see himself being rewarded hell as resting place. In one of their books, Al-Kafila there is the mention that if the earth (i.e. the world) remain without an Imam, it shall sink. Still according to this book, the (Shiites) Imams are selected by Allah just like Allah chose the prophets. Shia in itself is not a religion; it is a sect in Islam. After the martyrdom of Hazrat Umar (ra) and during the caliphate of Hazrat Uthman (ra), Islam propagated in several countries outside Arabia, such as Persia, etc. Many people accepted Islam at that time. Many entered the fold of Islam sincerely while many others entered therein hypocritically. “The evil is dominant and the good can be likened to leftover drops in a drinking bowl. The righteous conduct has become rare and the wrongful behavior is raging. A believer is obliged by his faith to seek truth in all circumstances. Living under a tyrant is disgrace and dying at the hands of an oppressor is true martyrdom”. 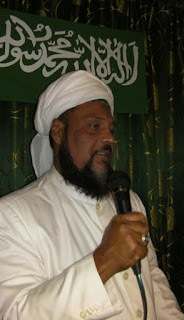 These ringing words of uncommon courage spoken by that grandson of the Holy Prophet (sa), addressing his small band of followers and family members who accompanied him, on the eve of the great tragedy of Karbala, in spiritual defiance of Yezid ibn Muawiya, the accursed- the oppressive ruler of the day- reverberates through Islamic history as the golden standard of religion, politics and morality for all times. 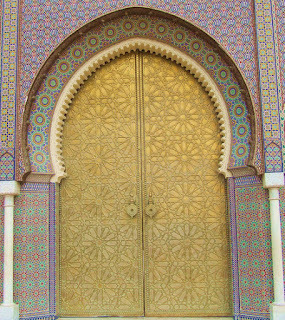 As the Holy Prophet (sa) had established the State of Islam in Madina through the famous “Covenant of Madina”- with all peoples/communities expressing their trust (Bai’at) in a just ruler bound by principles of law and a working process of consultation (Shura) with the governed; Islamic political order assured the dignity of man, ensuring the freedom of expression and participation in public affairs both by the elders and the ordinary and the young citizens. It is this egalitarian system of Islamic values and political order that was sought to be defiled and overturned into a dynastic authoritarian order by that licentious prince Yezid in the times of Imam Hussein (ra), setting up that encounter between the despot and the saint. As a man who led a life of pious rectitude engaged in spiritual and academic pursuits in Madina, Imam Hussein (ra) was a conscientious and upright visionary of Islam. Rather than seeking to compromise in the pursuit of chance gains of this life, he thought no sacrifice is great in confronting evil; in upholding foundational Islamic values of justice and resistance to oppression, and chose to embrace the eternal life of a martyr than be a mute spectator to the erosion of values. Beyond tragic history, the episode of Karbala and the enduring legacy of Imam Hussein (ra) offers powerful opportunities for reflection for all believers in confronting evil that exists around us. In his Friday Sermon of 21 September 2018 (11 Muharram 1440 AH), Hadhrat Muhyi-ud-Din Al Khalifatullah Munir Ahmad Azim Saheb (atba) of Mauritius reminds the Muslims about the fatal flaws that have crept into the community practices surrounding this great legacy; the ultimate futility of empty ritualism and spiritual corruption they are indulging in; and the important lessons the great Imam’s life offers for all of us in these turbulent times. 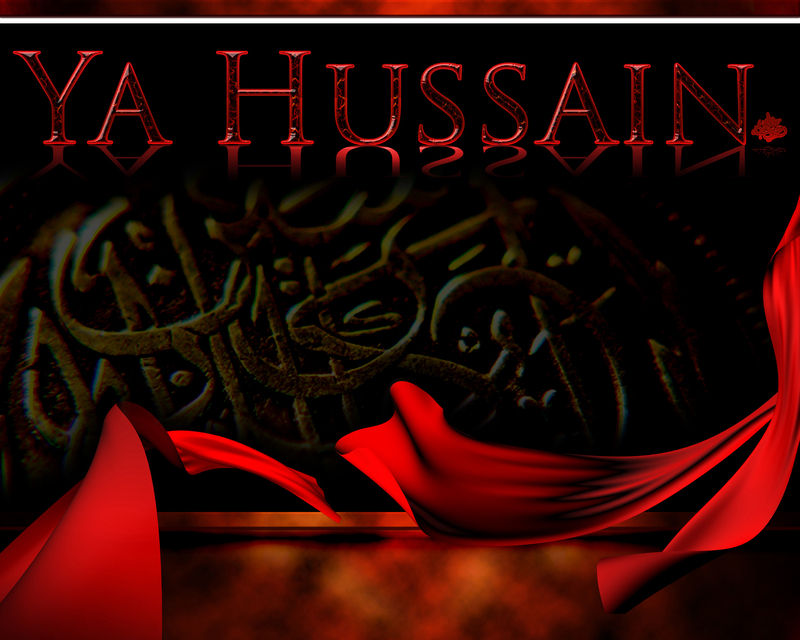 Every year, during the month of Muharram, many Muslims mourn the death of Imam Hussein (ra). The world of Islam today is splintered on denominational and sectarian lines. 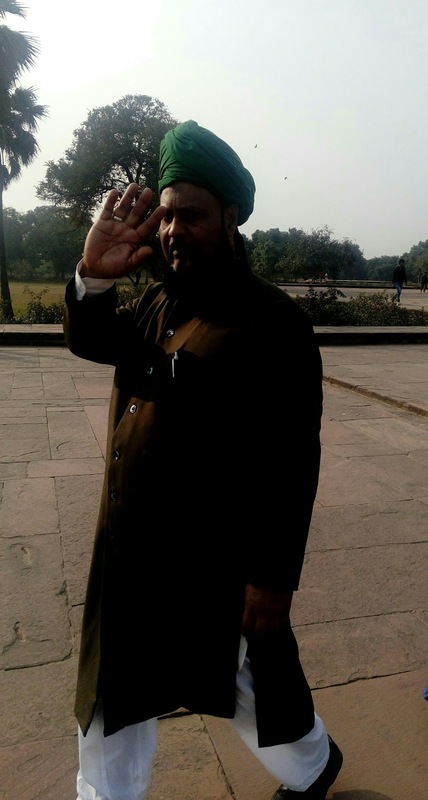 The lineages of the great divide among the Muslims go far back into history, originating in the disputes over obedience to authority and the sharing of power in the times after the Holy Prophet (sa) and his rightly-guided successors, the pious Caliphs. It’s a searing fact of history that after that first century of Islam, the Muslims had never been united as a single spiritual and political order. 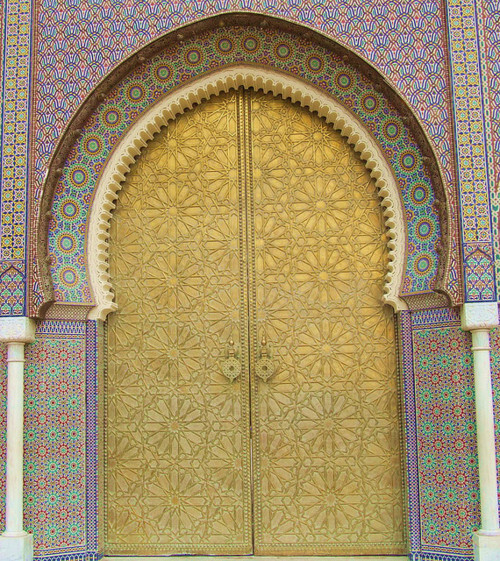 With the great schism among the believers leading to the formation of sectarian identity among them; the lofty identity of Islam receded to the backdrop and the Muslims were reduced to be either Sunnis or Shiites and in course of time, with the entrenchment of deep divisions over questions of Islamic law, new groups emerged among them on sectarian lines. 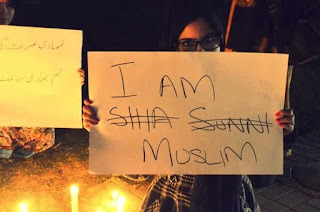 Indeed, there is no monolithic/single/unified ‘Islam’ in our times; there are many ‘Islams’ as the proliferation of religious groupings among the nearly two billion Muslims around the world so clearly demonstrate. This is unfortunately true as well, even in the relatively humble and small world of Ahmadiyya Islam- the community of Muslims assembled originally by the Promised Massih Hadhrat Mirza Ghulam Ahmad (as) of Qadian in the previous century. 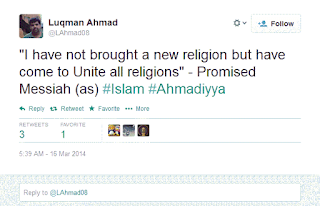 Today, despite all that the Promised Massih (as) had taught about the unity of all religions in Islam, the Ahmadis or the people who claim themselves to be the followers of that great saint of Islam, themselves are splintered into numerous sects and groupings. For instance, the different Ahmadi sects include the following: Jamaat-e-Ahmadiyya Qadian, Anjuman Ahmadiyya Lahore, Jamaat-e-Ahmadiyya Al Muslemun, Jamaat-e-Ahmadiyya Islah Pasand, Jamaat Ul Sahih Al Islam and the Jamaat-e-Ahmadiyya Haquiqui. No one can deny that the Holy Qur’an had indeed warned the Muslims about the lessons of human history. Whereas unity and cohesion leads to progress and blessings, disagreement and splintering leads to decline and fall. 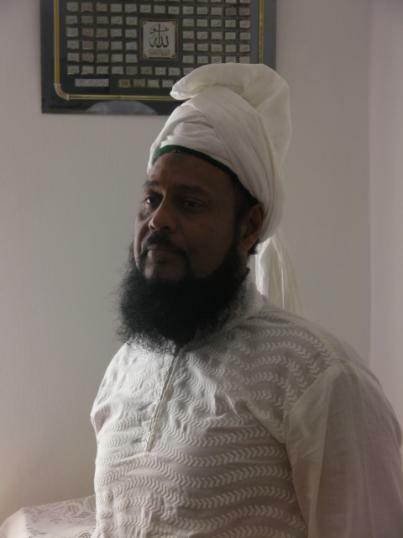 The Divine Book says, “This community of yours is one single community, and I am your Lord. So fear Me. But they are divided into sects, each sect rejoicing in its belief.” (23: 53-54). “And if your Lord had willed, He could have made mankind one community. Yet they continue to disagree (among them) except those upon whom your Lord has bestowed His Mercy. This is why He created them ...” (11: 119-120). It is possible to look at the diversity of situations and the plurality of opinions among Ahmadis as the existential condition of the times we are living in. In dealing with questions where we differ among ourselves, however, it is important to keep the big picture in mind all the time- including the obligations of brotherhood left behind by the Holy Prophet (sa) when he stated: “A Muslim is the brother of another Muslim. Do not hate each other and do not be jealous of each other and do not desert each other, O worshipers of Allah! Be brothers! And whoever meets the needs of his brother, Allah will meet his needs”. Indeed, the Ahmadi believers have a duty to respect the integrity and religious choices of our fellow humans found in different sects of Islam. Rather than seeking to project narrow interests, group-based prejudices and sectarian mindsets; engage with the brethren in faith in a spirit of solidarity and kindness in furthering the shared ideals of Islam. 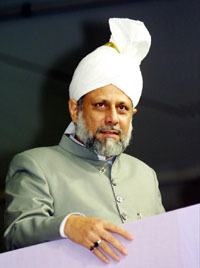 In October 2008, in the seventh year of the present Divine Manifestation, Hadhrat Muhyi-ud-Din Al Khalifatullah Munir Ahmad Azim Saheb (atba) of Mauritius made a fervent, Divinely-inspired Appeal to all mankind, especially to his Ahmadi brothers found in various sects of the Jamaat-e-Ahmadiyya to improve the quality of their spiritual engagements and public debates and to rise above their sectarian perspectives so as to truly embrace the purpose of a spiritual life. I shall now address you some explanations on the Islamic Calendar. The Islamic Calendar has a story and origin and we should know about it. All nations used to keep count of years as from a specific epoch. Whenever there was a highly important event that is known to the whole world, then people took it as a starting point of an epoch, to start a calendar. The best way to start a calendar would have been to date it back to the advent of Hazrat Adam (as) on earth or even start the calendar as from the deluge in the times of Hazrat Nuh (as), for these are highly important events in history. But unfortunately, we do not have exact information on the times when these events occurred. Therefore, each nation took as starting point a main event/ situation which they witnessed in their own times. Best wishes for the Islamic New Year to all my followers and the entire Muslim community in the world. Alhamdulillah, we begin the New Year of the Islamic calendar and therefore, the Jamaat Ul Sahih Al Islam presents to all Muslims and Muslims its best wishes for the New Year. We hope that this year we can continue to do good deeds with solid faith (Iman) in Allah and the will to fulfill His instructions and commands in the best way possible. When talking about Muharram, we also recall Ashura, the 10th of Muharram which also reminds us of the sacrifice of Hazrat Imam Hussain (ra). 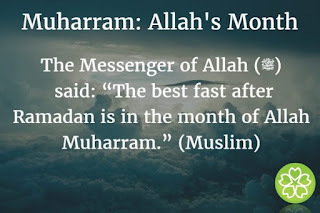 In this month devoted to Allah, Islam has given Muharram its true value because the Holy Prophet Muhammad (pbuh) revealed to us the greatness of the Yaum-e-Ashura which is found in this month. On this day, one of the greatest acts of worship (Ibadat) is to fast or do a lot of duahs, Istigfaar, and reading the Qur’an with translation and also make Nafil Salat. Many major events took place on this date. 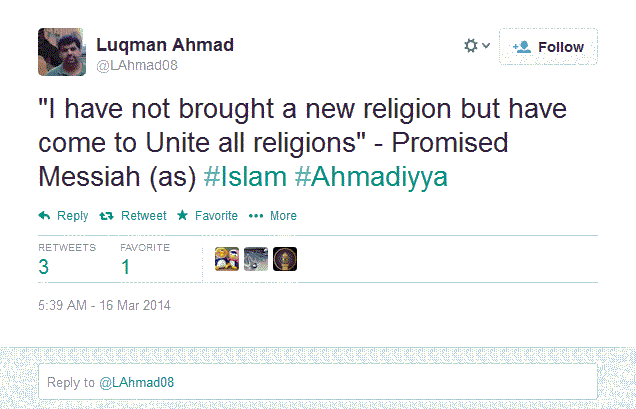 Serious misconceptions exist among Ahmadis today about the spiritual status and authority of their 'Khalifatul Massih'. 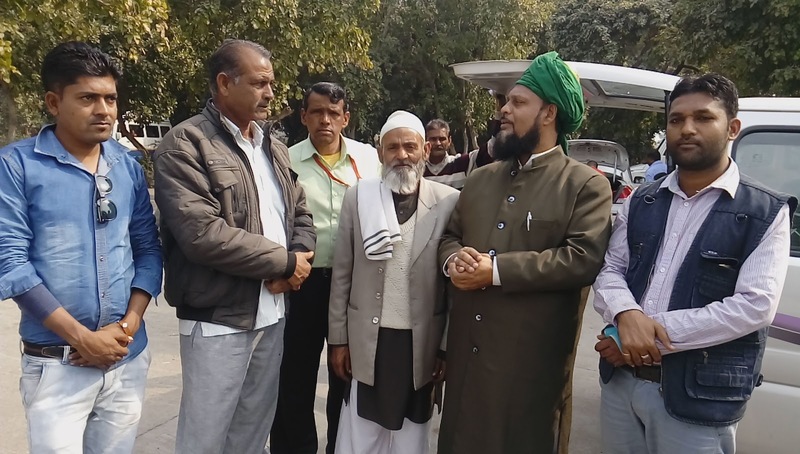 Through an incremental process of theological engineering in institutional practices over a century of its existence, the Nizam-e-Jamaat manufactured a special spiritual 'aura' around its assembly-elected leader. The institutional role and administrative authority of the office of the Khalifatul Massih has been calibrated into an 'infallible' league of its own, almost as an equivalent of an Elect of God. Today, the carefully-crafted image of 'a leader who enjoys the shadow of Divine protection' has been conferred upon the Caliph by his own sect and as such the title of 'Khalifatul Massih' holds special significance in the mind-space and religious imagination of the folks within. So much so that most members of the Jamaat today swear by a notion that 'Ahmadiyya Khilafat' is the unchanging institutional order of Islam till the Day of Judgement (Qiyamah). “Seek ways to get closer to Him.” (Al-Ma'ida, 5: 36). “O Allah, You are forgiving and You love to forgive, so (please) forgive me.” Ameen. The duah is an imploration, a prayer, a request, a supplication that we, the Muslim Ummah, address to Allah (swt) to satisfy our needs, to grant us His blessings, to forgive our sins, to help us overcome our difficulties, to solve our problems, to correct our faults, to find (and tread upon) the right path, to enlighten our hearts to make the difference between good and evil, to find the true path and inner peace and to draw closer to Him. The duah is the favourite weapon of all prophets and true believers so as to carry out the difficult tasks assigned to them and to endure the ordeals they have often suffered and shall continue to suffer. That is to say, just like there were the prophets of Allah and the pious people who had to go through all kinds of ordeals in the past and they used to invoke Allah to help them, likewise, presently and in the future also, there shall be such elects of Allah and the pious people who shall also seek the help of Allah in all their ordeals through prayer (duahs). Through various verses of the Holy Quran, we learn how the prophets (Hazrat) Nuh, Ibrahim, Musa, Ayub, Zakariah and other messengers made duahs, especially during the difficult moments of their lives. And the Holy Book teaches us how the Seal of the Prophets Hazrat Muhammad (pbuh) strongly urged believers to seek the help of Allah (swt) in all circumstances. So much so that to start any particular job/ task you have to do a very easy duah, saying: “Bismillah”. The duah is the best way to have a healthy, perfect, agreeable relationship between man and his Creator, as well as his rooting in the notion of faith, since even the prophets who represent the peak of humanity as to their closeness to Allah (swt) and their connection to Him always resorted to duahs. We must in no case neglect this act of worship, this great and best worship of Allah (swt) – after Salat and Quran reading. For if you meditate of its importance, you shall find that in Salat (prayer), it is mostly Quranic verses and duahs which are recited. It is duahs which embellish our Salat. The Holy Prophet (pbuh) was right and he made it clear about duah: “Duah (Supplication) is the essence of worship.” (Tirmidhi). To succeed in establishing in his soul beautiful qualities, such as patience, perseverance, endurance, the Muslim must absolutely resort to various verses of the Holy Quran and explicit Hadiths on the subject. Certainly the Holy Quran gives us clear examples that make us think, to boost us to take this path and succeed. Without patience, perseverance and endurance, the believer will not succeed in opening himself spiritually to the understanding of religion - in this case, Islam - and the essence of faith in itself. “Give good tidings to the patient, those who, when disaster strikes them, say, ‘Indeed we belong to Allah, and indeed to Him we will return.’ Those are the ones upon whom are blessings from their Lord and mercy. 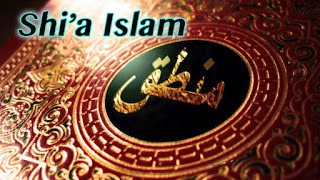 And it is those who are the [rightly] guided.” (Al-Baqara 2 : 156-158). “O you who believe! Persevere in patience and constancy; vie in such perseverance; strengthen each other; and fear Allah; that you may prosper.” (Al-Imran 3 : 201). “We will surely give those who were patient their reward according to the best of what they used to do.” (An-Nahl, 16 : 97). “Be patient, your patience is not but from Allah.” (An-Nahl 16 : 128). “Bear anything that happens to you steadfastly, for this is firmness (of purpose) in (the conduct of) affairs.” (Luqman, 31 : 18). “And We made from among them leaders guiding by Our command when they were patient and [when] they were certain of Our signs.” (Al-Sajda 32 : 25). “The patient will be given their reward without account.” (Az-Zumar, 39 : 11). These are some blessed verses from the Holy Qur’an that God the Exalted has sent down to humanity for all times. They show that where patience and endurance prevail, success is a sure cure. To these two elements forming the character of man, we must certainly add faith and piety as a whole. It is then that the divine blessing falls. For Allah (swt) reminds the Ummah through the Qur’anic verses of the value of patience and endurance. Indeed, among the virtues that constitute the adornment of a Muslim, there is patience and endurance. These two elements, adopted with conviction help to combat the harm of others for the sake of Allah. Patience is simply the constraint of the soul to accept what is repugnant to it and to endure with impassivity, with constancy the evil that reaches it. In times of trials, Muslims and especially my disciples of the Jamaat Ul Sahih Al Islam must restrain themselves and persevere in the accomplishment of good deeds and become models of virtues. You must not be alarmed or irritated or angry. On the contrary, you must have complete trust in Allah. Remember that the difficulties you are experiencing are only trials that you must overcome for the sake of Allah. These are tests, exams that God makes you undergo to bring out your true value and your true faith.